Dirt therapy. It’s a term that many people who enjoy gardening, farming, growing and being outdoors can identify with. The dirt, the ground, gives you growth, meaning and life. The simple act of planting a seed, watching it grow, caring for it, and getting dirty, can bring sincere happiness. It forms a connection to life, through honest, rewarding, hard work. For Growing Veterans, they are doing just that. Working a three-acre farm outside of Lynden, in view of Mount Baker, they are using the power of dirt and plants to reconnect, teach, and offer opportunities for local veterans who have served in war and experience Post Traumatic Stress Disorder (PTSD), while growing food and making a place for community and volunteers. Christopher Brown, 27, a former U.S. Marine who served three combat deployments in Iraq and Afghanistan, formed Growing Veterans after he found it very difficult to transition back into a normal, civilian life. Honorably discharged in 2008, Brown returned to Washington and began volunteering with veterans groups, including the Bellingham Vet Center and the Whatcom County Veterans Advisory Board, while working on his degree in Human Services with a psychology minor from Western Washington University. It was at this time he also began growing plants, following a suggestion by a counselor that it would help with his PTSD. A Purple Heart recipient, Brown said he wants to honor those he served with by creating something good in the community and helping other struggling veterans. He enjoyed growing plants and thought strongly about forming Growing Veterans, so he shared the idea with others, including Tony Noordmans, a Korean War vet, who encouraged Brown to move forward with the plan. 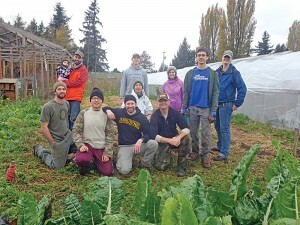 At the same time, Growing Washington was actively looking for veterans to join their farm. At the end of the first season, they started to formalize the project and decided to call it Growing Veterans. 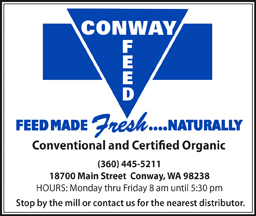 The group officially launched in June 2012, also working with Growing Washington’s partner Viva Farms, a non-profit farm in Skagit County, as well as The Mission Continues, a national non-profit that challenges post 9/11 veterans to serve and lead in their communities once they return home. 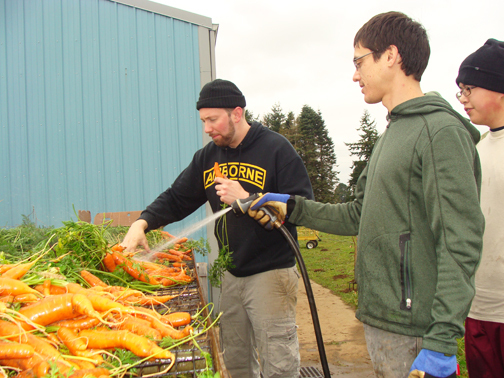 A year and a half into the program, Growing Veterans has a farm manager and core group of 12-15 veterans serving as interns, volunteers and crew, as well as other veteran and civilian volunteers. Set up at the former site of the Bellingham Food Bank Farm, on approximately three acres near the Guide Meridian south of Lynden, the group is nearing the end of its first growing season. The farm has produced over $60,000 in vegetables (market value), including kale, onions, lettuce, broccoli, chard, beets, turnips, tomatillos, spinach, carrots, winter squash, sugar snap peas, leeks, rutabagas, kholrabi, and brussel sprouts, as well as some raspberries. 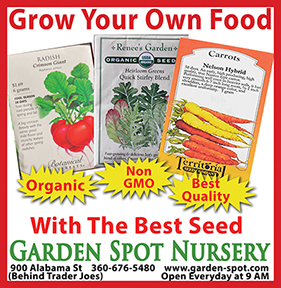 The food they grow is used in Growing Washington’s weekly CSA boxes distributed Whatcom, Skagit and King counties, or sold at farmers markets. The seconds are donated to the food bank or go home with veterans. 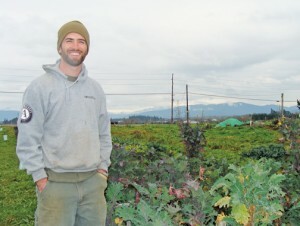 Both Brown and Burrows credit Chris Wolf, the Growing Veterans farm manager, with much of the success. 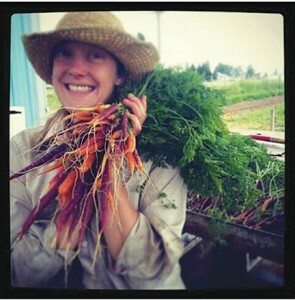 Wolf, who has a background in counseling, was a former volunteer with the Bellingham Food Bank and worked the farm for several years, as well as with other local farms. 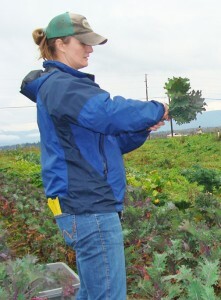 She decided to ask about the farm manager position when she learned Growing Veterans was taking over the space. She was hired. “I love it. It’s hard work, but so rewarding and enjoyable. I can’t imagine a better job for me,” Wolf said. She works with the crew to organize the weekly farm needs, and said they bring skills that are a major asset to the ongoing work. “Being trained in the military, veterans already know how to work together,” she said, a quality that is helpful with their work, especially farming. They “function as one” and communicate regularly. Everyone has had to learn together this first growing season, Wolf said, but their progress and teamwork have been amazing and something she is proud to be a part of. In addition to her farming skills, her counseling experience offers opportunities for any veteran that may want to talk with her. Brown said working alongside fellow veterans helps him and others with their PTSD, and also shows how well they work together. Those on the crew expressed positive feelings for the program. Many of them have completed or are finishing degrees through the GI Bill, and are looking forward to putting their skills and service towards work they both enjoy and feel will benefit the community. There is a great sense of teamwork, pride and camaraderie on the farm, and a hearty dose of humor. “We sometimes pull rank on each other,” they said, “and address Chris (Brown), as sir.” One of crew, they added, made a funny hip-hop song about veggies. Chris Rowell, born and raised in Washington, served four years in the Navy and recently completed a degree in Spanish at Western Washington University. He is now working on his French skills as he will be departing in early 2014 for a two-year Peace Corps assignment in West Africa. Rowell has organized and recorded the group’s video clips of their work on the farm, most of which is posted to the group’s Facebook page. Justin Power, also of Washington, joined the military in 1996 and served 16 years in the Marine Corps and Navy. Currently a volunteer and intern at the farm, he is also a student at Trinity Western University, studying for his psychology degree. He wants to put his degree to use by becoming a counselor for fellow veterans. “This is such a great outlet and is something I wish was more prevalent,” Power said of the group, noting the importance of being able to come together like this. Jake Oostra, another volunteer and intern, has a Bachelors degree from WWU in International and Sustainable Education, and is pursuing a Masters. He served as an Operations Specialist with the Navy, leaving the military in 2005. 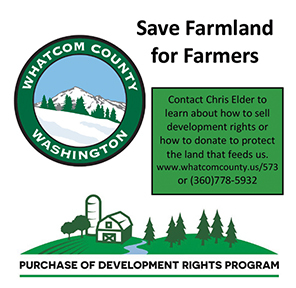 He has worked with the Bellingham Vet Center, The Whatcom County Service Office, and the Regional VA Office in Seattle, and spent six seasons as an assistant farm manager at another farm. Clayton Swansen, the Special Projects Coordinator and the Mission Continues Fellow, served seven years in the Navy as an Explosive Ordinance Disposal Technician. He graduated from WWU in 2012 with a degree in English and Creative Writing, and currently serves as the editor of The Horn, Growing Veteran’s blog dedicated to sharing veteran’s stories with the community. Daniel Nessly, the Sustainable Resource Coordinator, joined the Army in 2000 and served in both the Pacific and Iraq. After eight years and injuries, he left the Military and earned his bachelor’s in Environmental Science at WWU in 2011. He is currently working on his master’s degree. Justin Blotsky is a volunteer and Mission Continues Fellow, who served in Iraq with the Army. He is completing a degree in Environmental Economics. There are a number of other volunteers as well, including male and female veterans of all ages from all military branches, foreign exchange students currently studying at WWU, and local residents. Anyone from the community is welcome to inquire about work parties and volunteer opportunities. 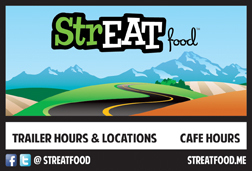 “You don’t want to have to farm to get involved,” Brown said, noting off-farm work as well, including their website, marketing and service learning. Locally, the group has received some support from businesses including a grant from Home Depot and donations from Hannegan Farm and Home. Matt Aamot, owner of Hannegan Farm and Home in nearby Hinotes Corner, and also a veteran, supports the efforts of Growing Veterans. His most recent donation to the group came in the form of a percentage of the store’s Open House profits in October. Growing Veterans’ latest survey showed 90 percent of participants feel better about helping others in their community, 74 percent are eating healthier, and 64 percent gained tools to create positive change in their community. 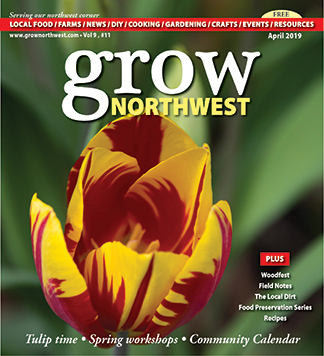 As the group will soon prepare for its second growing season, plans are moving forward to start Growing Veterans outposts at other sites in northwest Washington, including Viva Farms in the Skagit Valley and 21 Acres in Woodinville. Two veterans are currently being trained to build the foundation for next year, and the group hopes to host specialists at each site, Brown said. “The intent of the outposts are to support the local food system by partnering with existing organizations, provide opportunities for vets to get involved, and build up Growing Veterans presence in those areas,” Brown said. The possibility is there for further growth as other locations have expressed interest, however the crew will examine those ideas over the winter. In addition, the group aims to provide internships for participants in the programs offered by the SAgE grant (sustainable agriculture), awarded through Edmonds Community College in Snohomish County. He is currently working on his master’s degree, and stated farming is what he wants to do long-term. Anyone interested in volunteering or learning more about Growing Veterans, can visit their website at www.growingveterans.org or follow their Facebook page. Work parties are held Tuesdays and Fridays (with a barbecue on Fridays). Volunteers and donations are welcome. In addition to on-farm work, Brown is also organizing OpWire, a resource for sustainable ag farmers and related agencies. We would be interested in starting a chapter here in the Yakima area. Or, is there one available to help with? I have land, seeds, and volunteers. Rebound works with low-income families that are going through difficult times due to alcohol and drugs, divorce and children that parents are not able to manage. We meet every Thursday evening at CTK Church, we serve dinner and then have classes for kids and parenting classes for parents. We are looking for donations of fresh veggies and fruit for these families as they are not able to afford these items. Could we work something out with your organization.